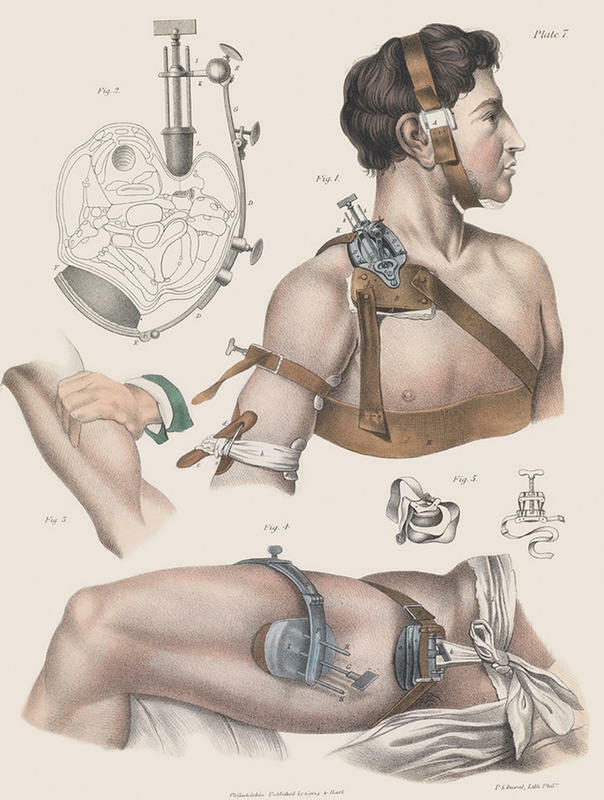 From eye surgeries to finger amputations, the book Crucial Interventions: An Illustrated Treatise on the Principles and Practice of 19th-Century Surgery gives us a startling look at the golden age of surgery through these gruesome yet beautiful technical illustrations. 1. 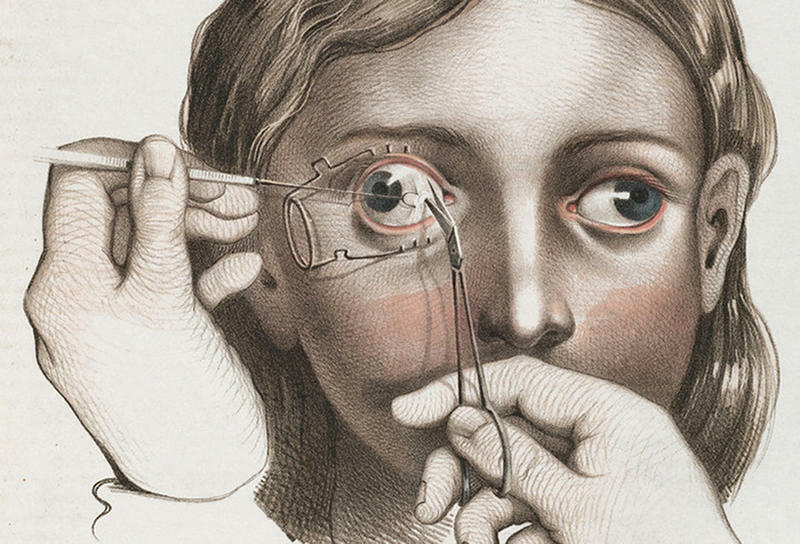 Surgery to correct strabismus (abnormal alignment of the eyes). The internal muscles of the eyeball are divided so the eye would point in the right direction. 2. 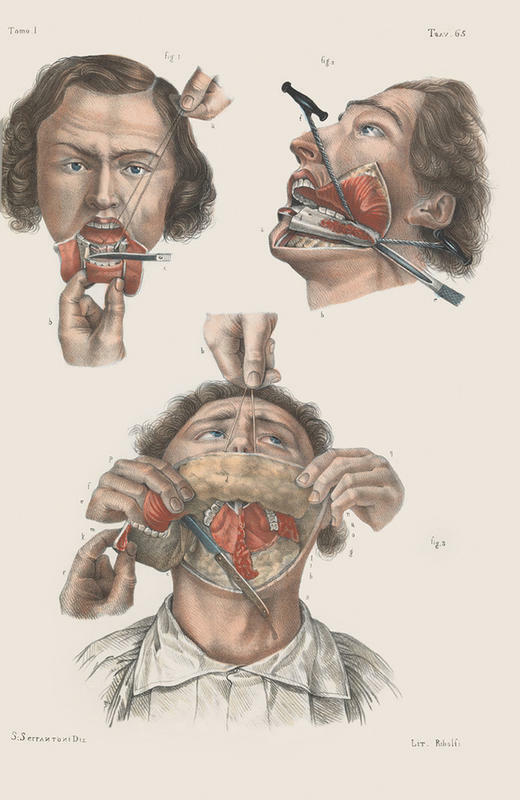 Removal or “resection” of the lower jaw. 3. Compression of arteries in the arm and leg to reduce blood loss during surgery. 4. 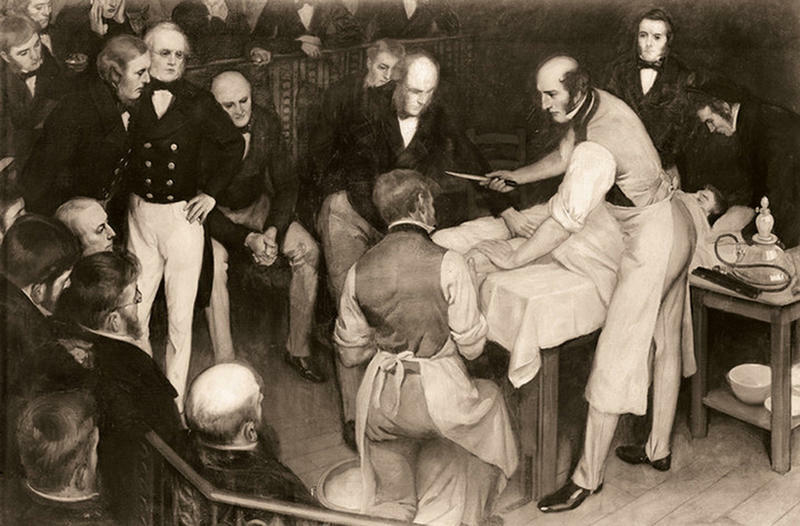 A painting depicting one of the first British operations performed with anaesthesia by pioneering Scottish surgeon Robert Liston. He operated with a knife between his teeth, and could amputate a leg in under 3 minutes. 5. Two kinds of caesarian section. 6. 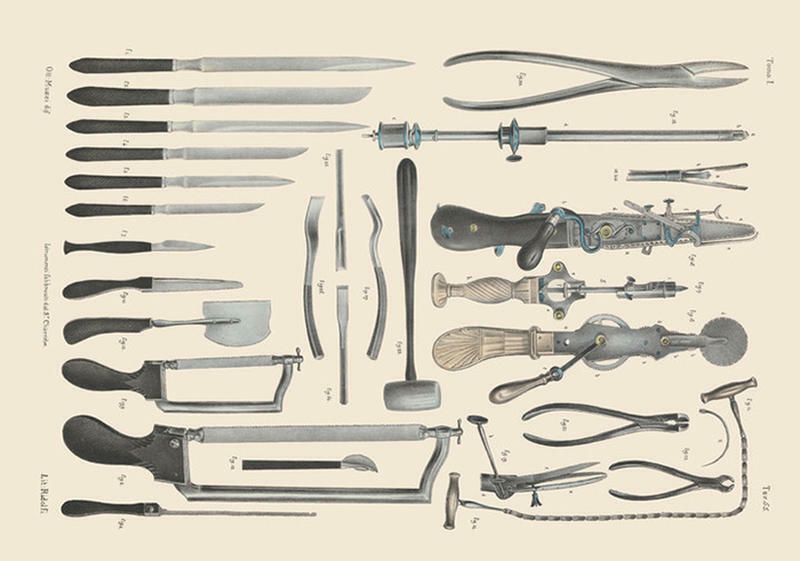 Surgical saws, knives and shears for bone operations. 7. 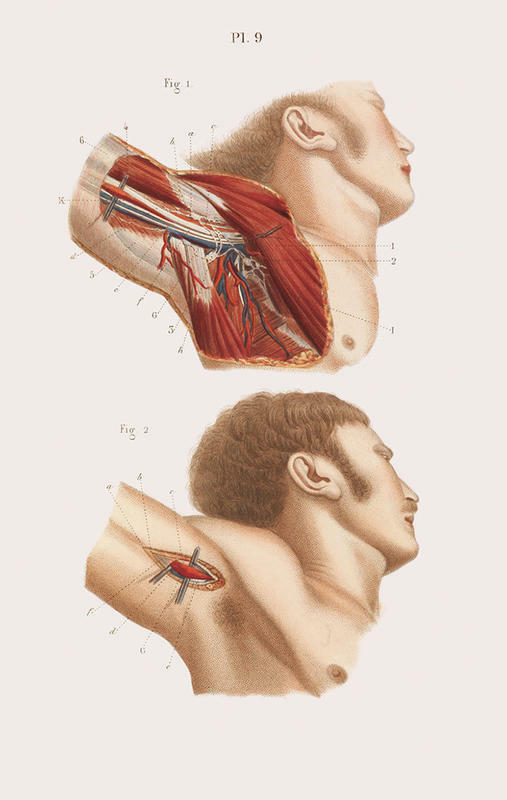 Anatomy of the armpit, and the ligature of a blood vessel near it. 8. 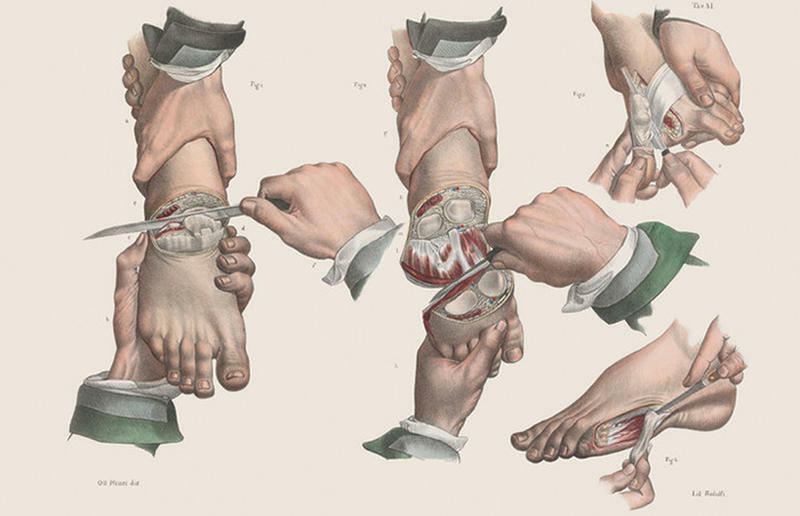 Amputation of various toes. 9. 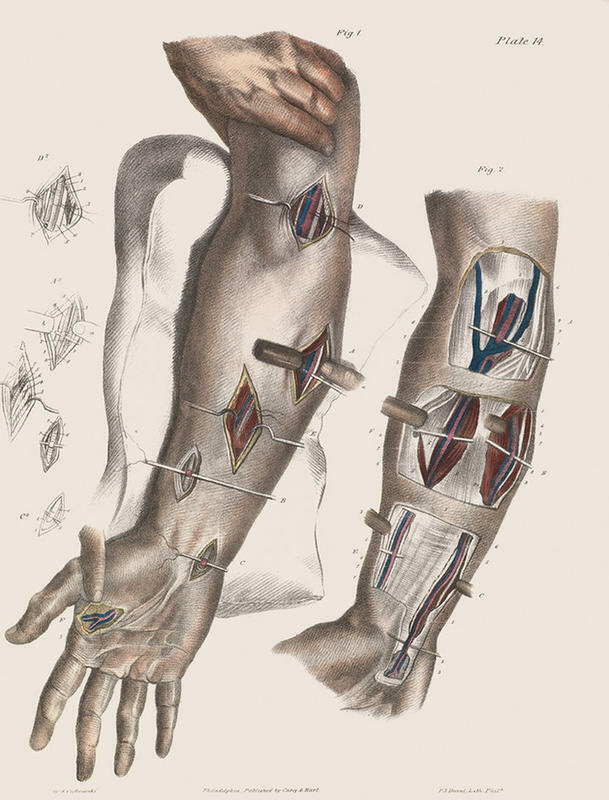 Sites for ligature of arteries in the lower arm and elbow joint. 10. 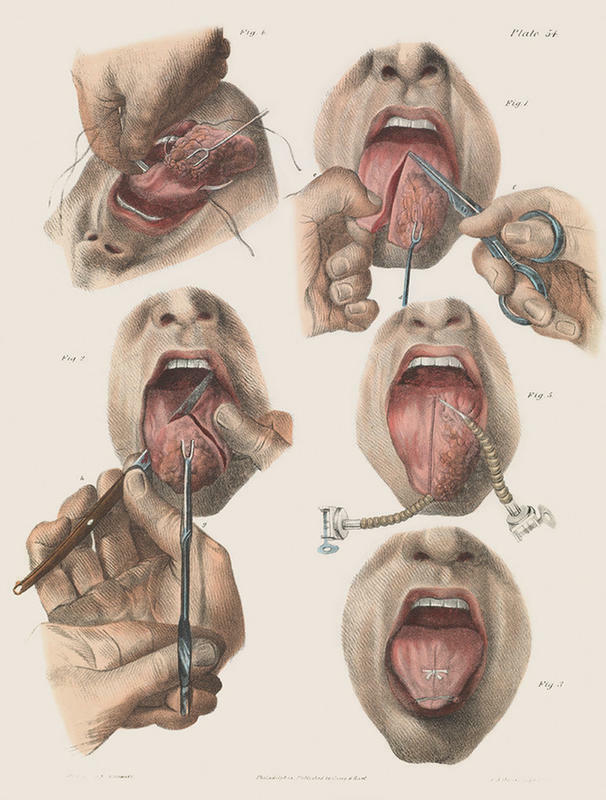 Surgery for tongue cancer. 11. 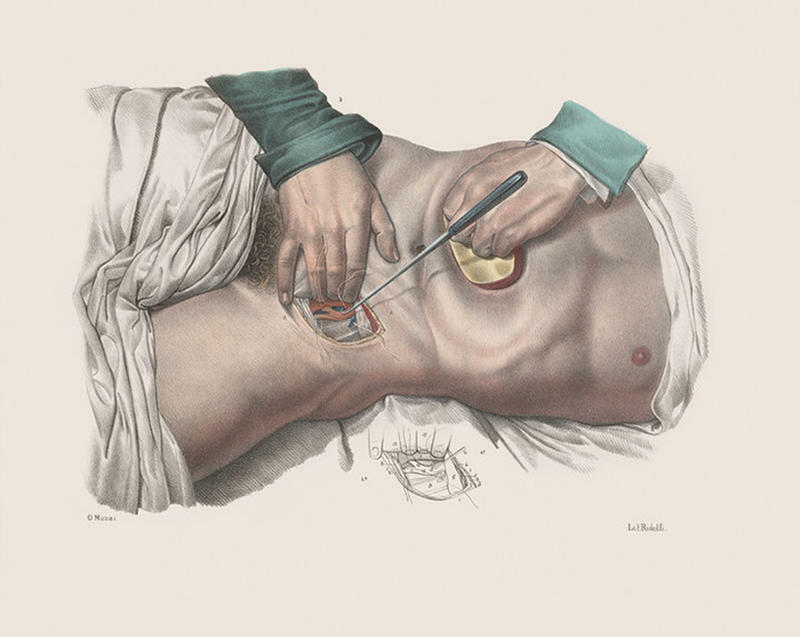 Ligature of an artery in the inguinal region, using sutures and a suture hook, with compression of the abdomen to reduce blood flow. 12. 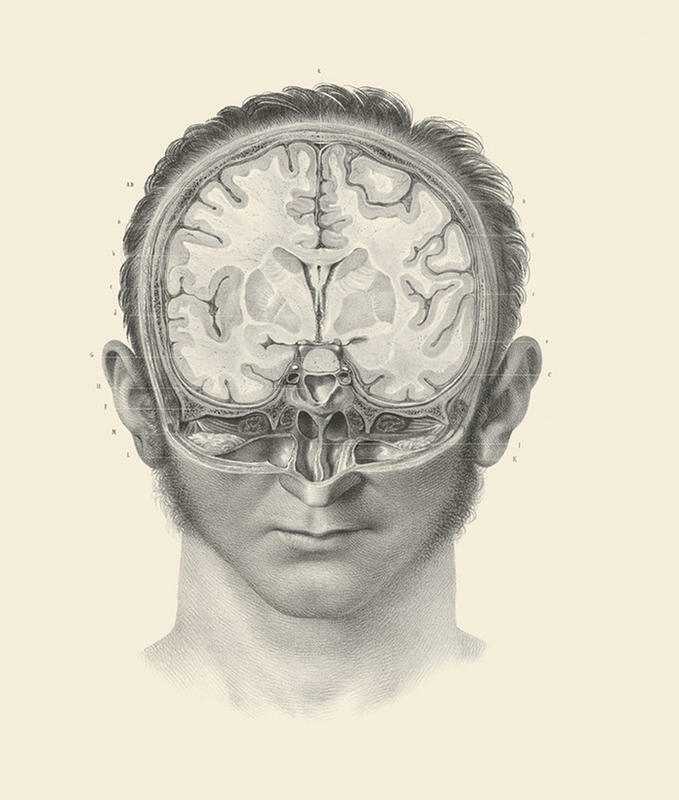 Cross section of the human brain. 13. 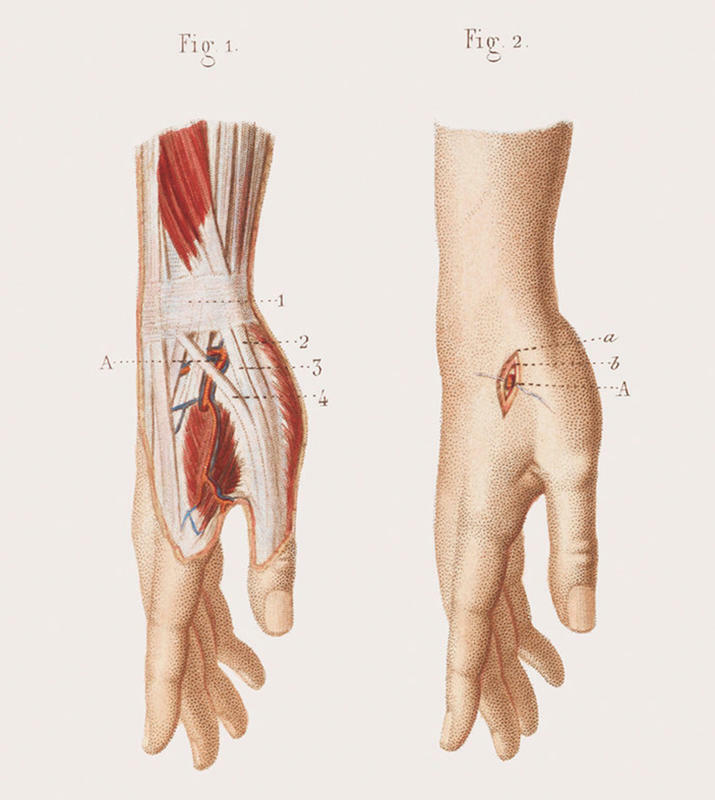 Musculature and blood supply of the wrist and hand. 14. 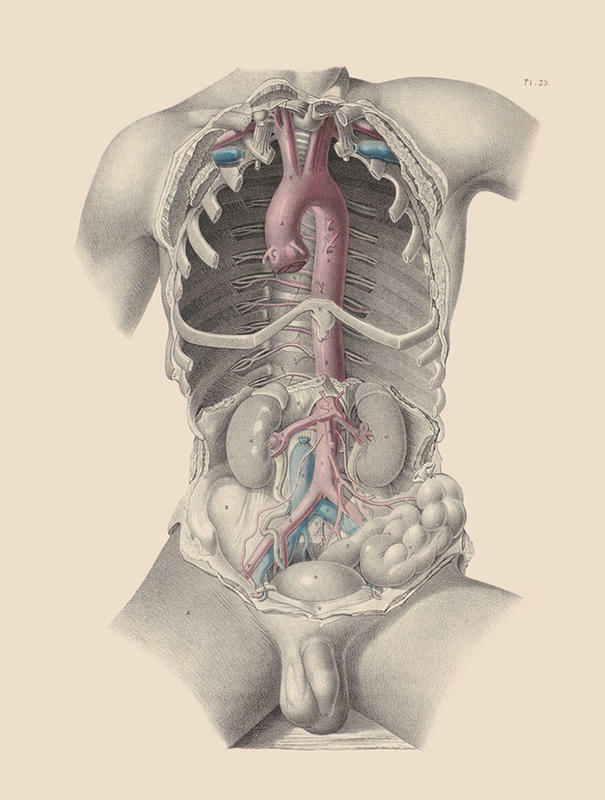 Dissection showing the aorta and the major arteries of the thorax and abdomen. 15. 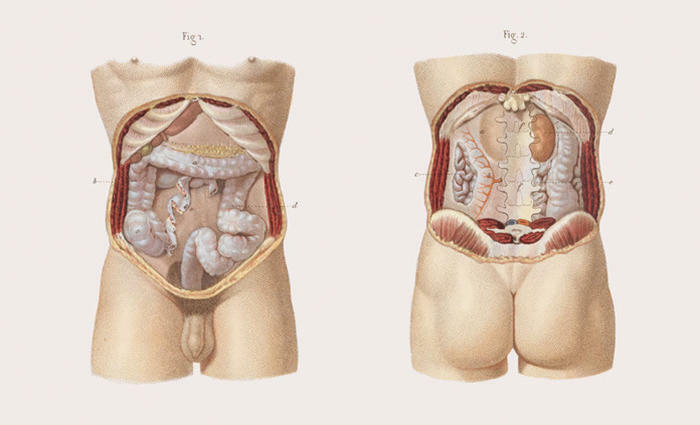 Front and back anatomy of the large intestine. 16. 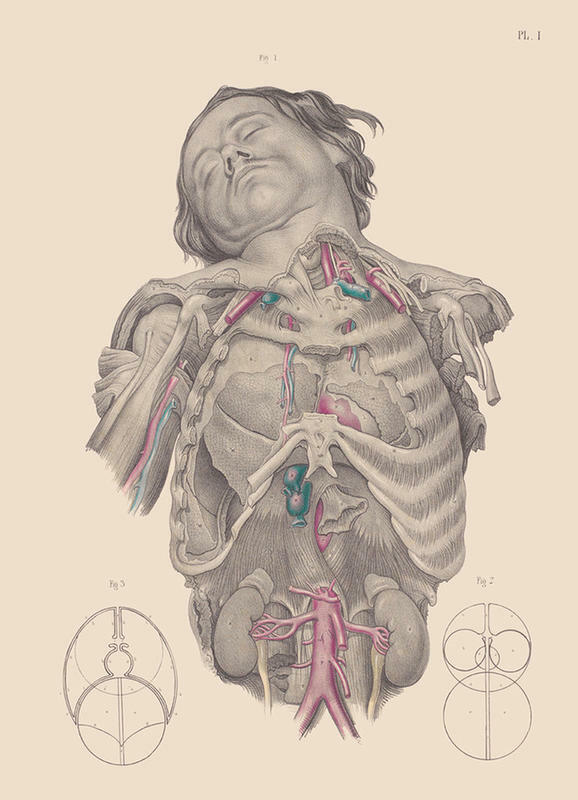 Dissection of the thorax, showing the relative positions of the lungs, heart, and primary blood vessels. 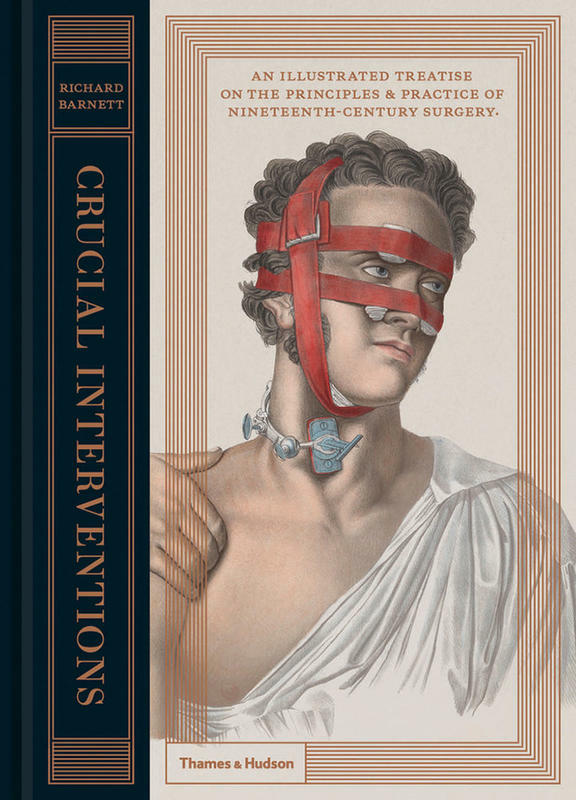 Crucial Interventions or, An Illustrated Treatise on the Principles & Practice of Nineteenth-Century Surgery by Richard Barnett is published by Thames & Hudson in association with the Wellcome Collection.